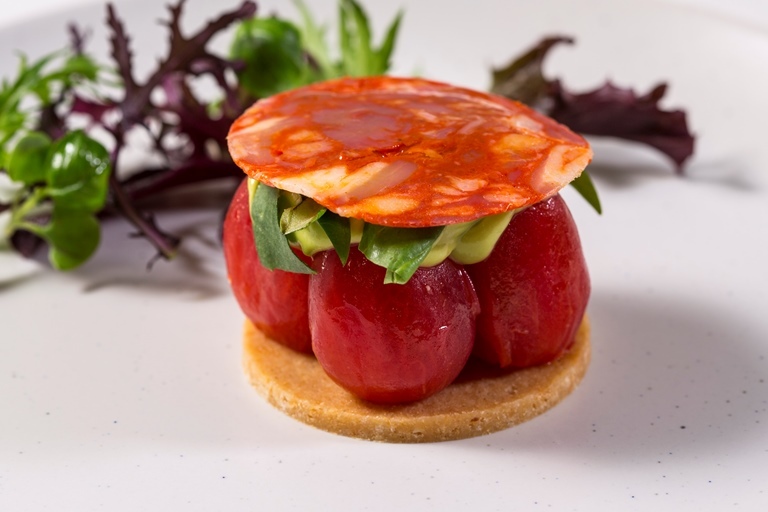 Paul Foster's stunning presentation ensures this tomato tart recipe is as impressive as it is delicious. The plum tomatoes really are the hero ingredient, with two confit tomatoes and two compressed tomatoes standing upright on discs of buttery Parmesan biscuit. Topped with creamy avocado, fragrant basil and a hint of spice from slices of chorizo, these tarts have a perfect combination of flavours.